I guess you could rename these Coconut Macaroons, maybe not quite the traditional ones that you make with condensed milk, but still a quick and a gluten free treat for everyone. With a 15 minute preparation time this makes a quick and easy vegetable bake. 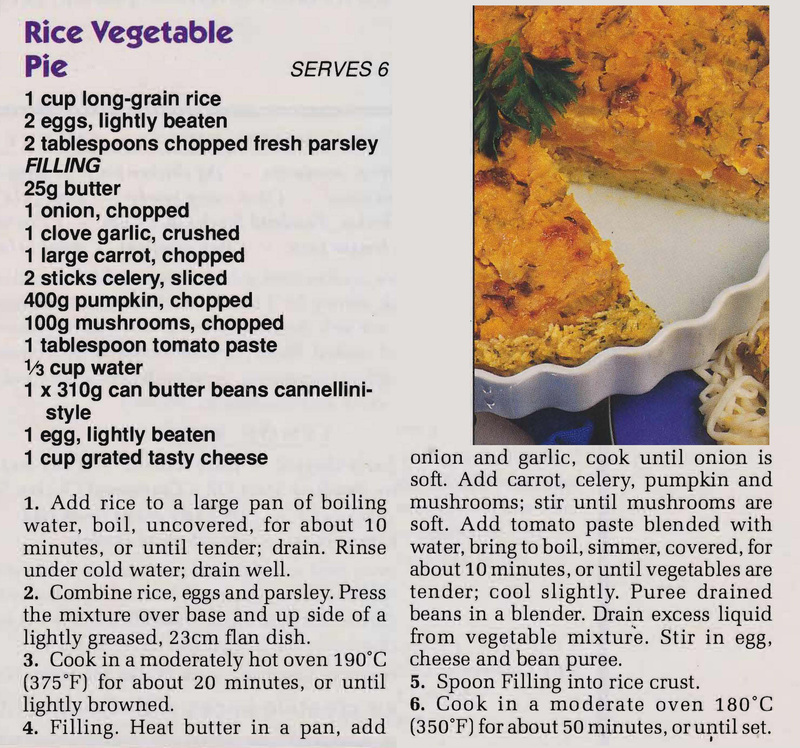 Mum cut this recipe out of the Woman’s Day. 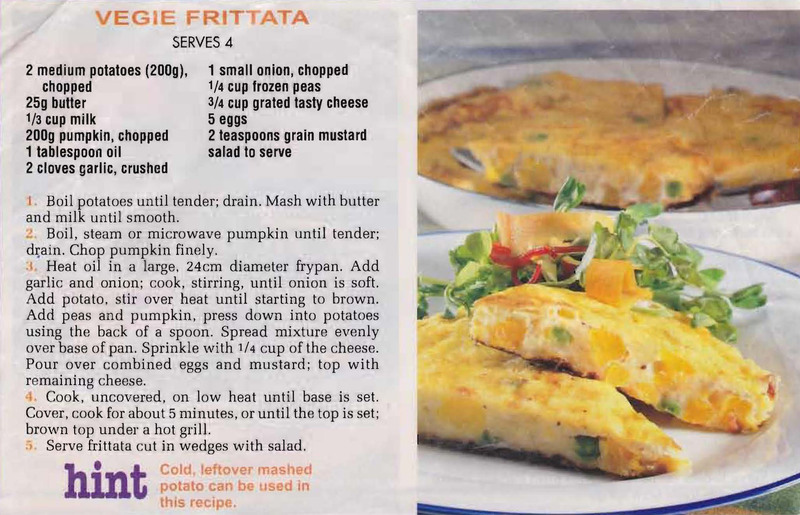 It would make a great hot lunch dish as well as being easy to transport to a picnic or when you have to take something to share with family and friends. 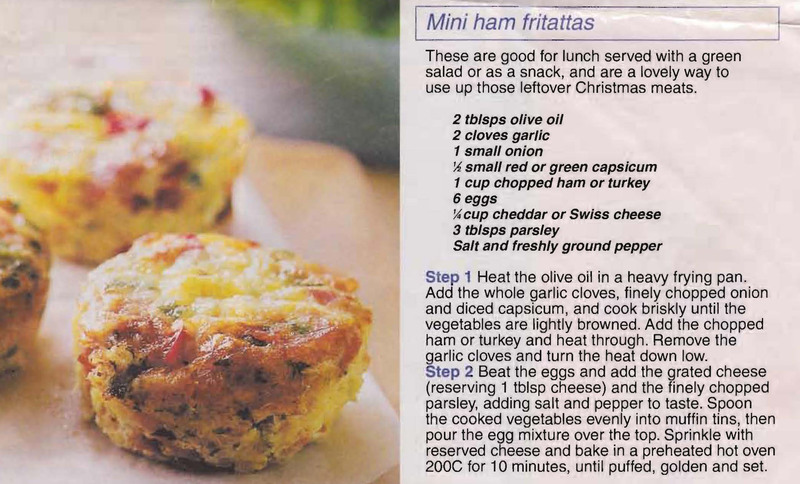 Although similar to the Individual Ham & Cheese Quiches this recipe for Mini Fritattas, which Mum cut out from the New Idea, would be a great gluten free version.